Keeping In Contact Has Never Been Easier! 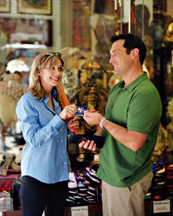 Membership gives you access to the entire Wemetcard Contact Services System which includes the Owner Contact Service for getting back lost cell phones, keys, wallets, ipods, ipads, laptops, cameras and other items you own. You also get Member Only discount shopping, your own blog page, the ability to upload photos, post videos, search classifieds and many other Premium Member benefits!